This is another objective which is exactly the same as the VCAP4-DCA one . Covered above on pg 48 of the Networking guide mentioned above. 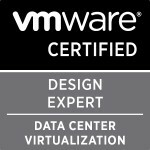 Categories: Certifications, VCAP | Tags: Objective 2.3, VCAP, VCAP4 to VCP5, VCAP5, VCAP5 Blueprint, VCAP5-DCA | Permalink.